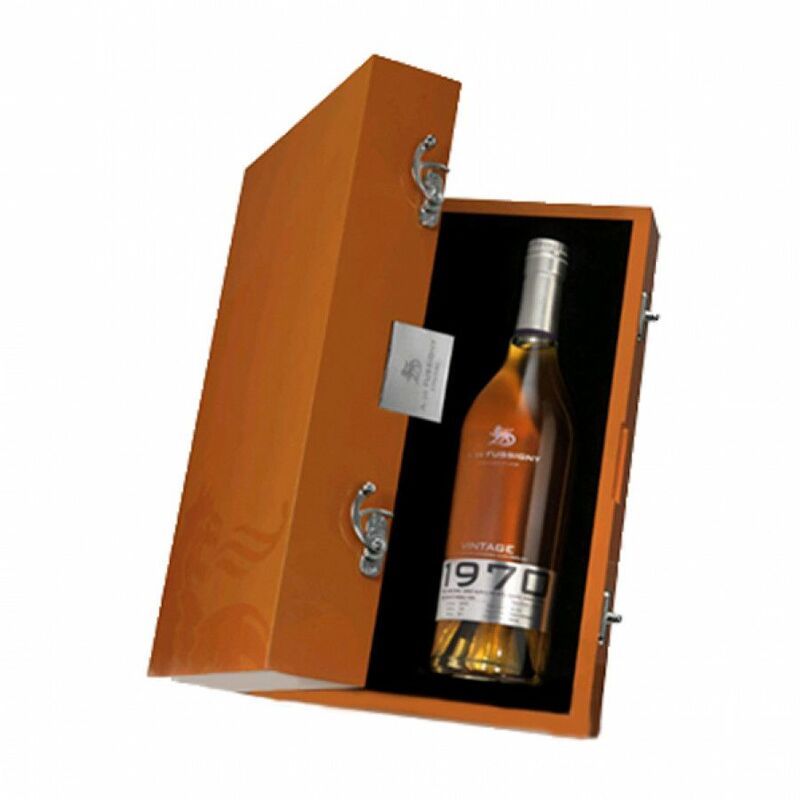 The A De Fussigny Millésime 1970 Cognac is one of a small range of superb vintages from this craft Cognac house. This single vintage is created from Petite Champagne eaux-de-vie, and has been bottled at a slightly over-proof, 43%. We have to say, the expertise of the Cellar Master is truly showcased in this wonderful offering, with flavors, aromas, and the much sought after rancio taking the taster on a journey that can only be described as sublime! The presentation is delightfully simple, yet oozes luxury. A traditional style Cognac bottle, whose only nod to the the delights hidden within is the label that clearly states its year of birth. This is then encased in a top quality wooden presentation case - perfectly chosen to showcase the bottle held within. This Millesime Cognac would be the perfect choice as a gift for the connoisseur – or indeed for anyone who enjoys the finer things in life. Enjoy neat, in the traditional manner, when you have the time to truly savor the sensory delights it offers.